The wet, wild and mysterious River of Grass takes young explorers inside one of the most precious ecosystems on the planet, the Everglades. The River of Grass is a sensory-filled journey celebrating the Everglades, carrying young guests through two related spaces: an outdoor hands-on area, and a hi-tech, indoor virtual Everglades where charming animal characters frolic and interact, expressing a fun storyline of biodiversity. 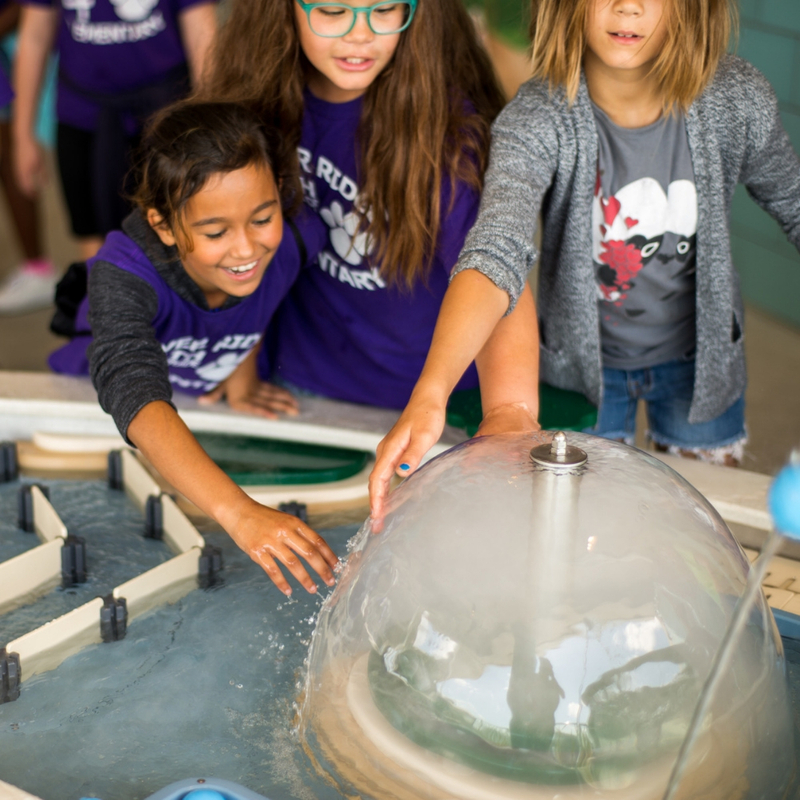 In the outdoor area, children see, feel and experiment with the physics of water, introducing them to the hydrology that keeps the 300-mile Everglades and all its creatures alive. Discover the captivating animal residents and develop basic scientific skills as the River of Grass expresses the fundamentals of ecology, biodiversity and environmental science—all crucial to understanding and protecting this rare place. Inside, children venture into an interactive virtual environment where animal characters come to life in a 20-minute journey into a day in the life of the Everglades. As the sun rises, move a log and watch water and minnows pool; part the grass to spot a deer or alligator’s nest before an afternoon thunderstorm rolls in. 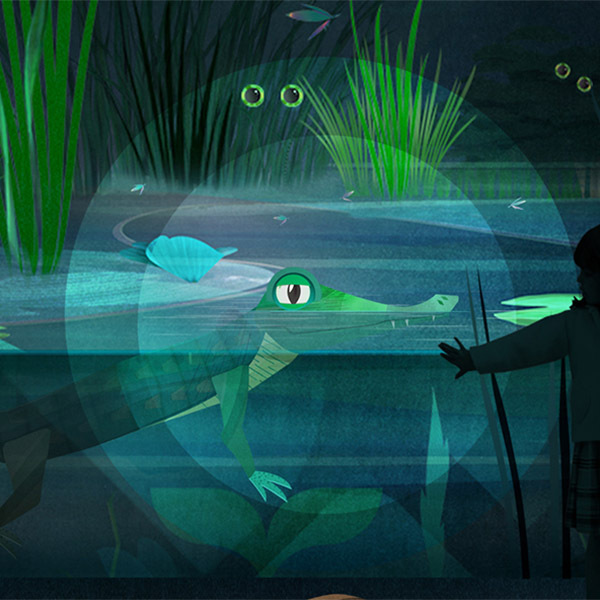 As the sun goes down, eyes appear in the darkness, and children can use virtual flashlights to discover hidden animals. If they’re quiet, they might even meet a rare Florida panther. 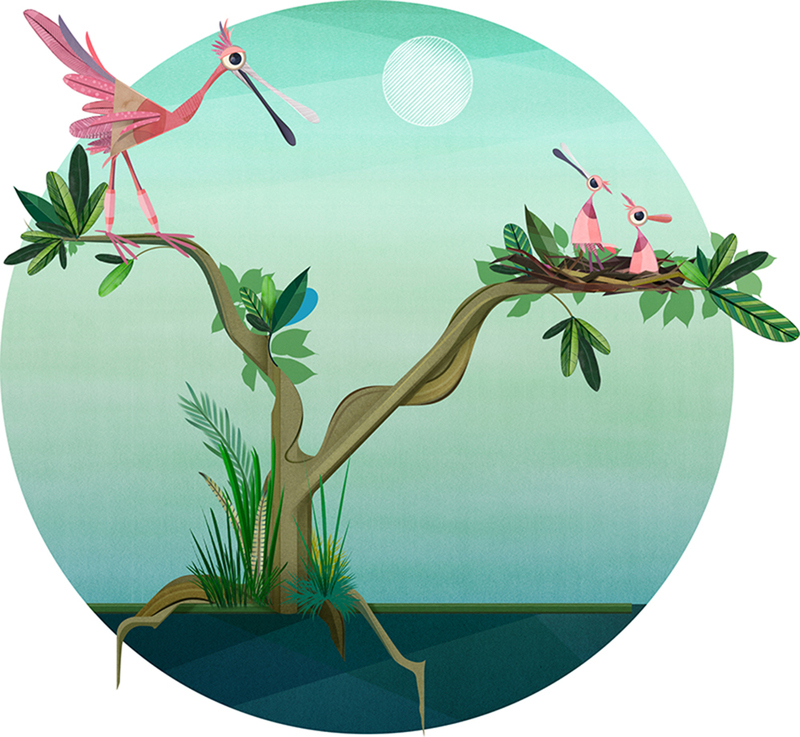 By the end of the journey, children learn that life in the Everglades is rich, and that this endangered realm is a special place worth protecting.